Haven’t I got this right yet? One aspect of my summer research program I am very pleased with this summer is the peer-mentoring structure in place in my lab. Thanks to external funding (Thank you NSF and Dreyfus Foundation! 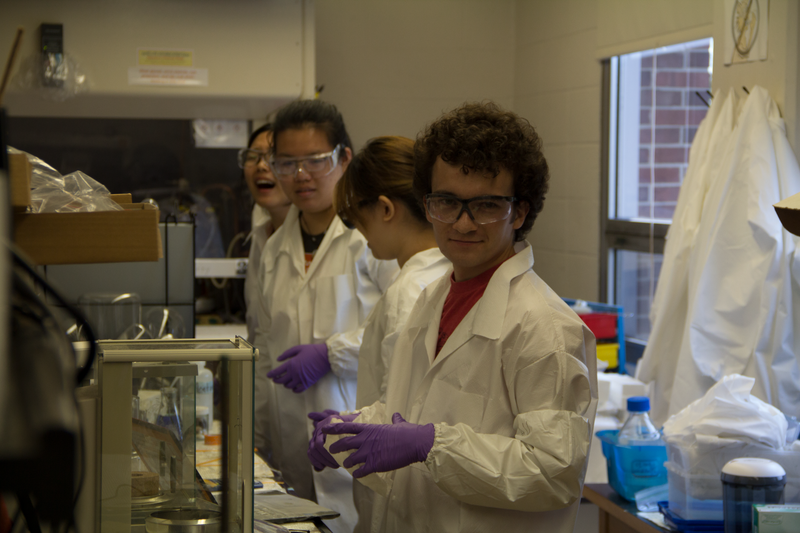 ), F&M’s support for summer research, and a generous research-for-academic credit policy, F&M students commonly have multiple research experiences. This longevity allows peer-mentoring structures where more experienced students train and direct less experienced students. This summer, I have two peer mentor/mentee pairs working together; the peer-mentors were peer-mentees last summer. I have already caught powerful moments that show this mentoring structure provides more than just practical benefits. The practical benefit is, of course, that peer-mentoring takes pressure off of me to train students. The literature (Lopatto 2010) tells us that peer-mentoring is an important contributor to personal growth enabled by undergraduate research. But, this does put some distance between me and new students, and I sometimes worry whether it is always working well. So far this summer, both peer-mentors have readily adapted to guiding their team. Given how their faces lit up in the moment they realized they had become the mentors, I think they were excited to take these leadership roles. Without specific prompting, are working with their mentees to plan out the practicalities of experiments together, thinking ahead a week or more. One student mentioned off-hand that because her peer-mentor often emphasized safety, she was making sure she did the same now that she was a mentor. I even overheard a conversation between a mentor/mentee pair as they were poring over spectra. The peer-mentee whispered “Should we ask Prof. Plass?” and her mentor replied “Not yet, I think we can answer it.” Such thoughtfulness, independence, and ownership from my research students! Regional American Chemical Society Meeting in nearby Hershey, PA next week was too good an opportunity to pass up. But it means students are spending time preparing posters and I am repeatedly looking them over and providing feedback. Less forgivable, I have said “yes” to too much and allowed too much bleed over from the semester. Departmental, College, and service concerns have all lingered. It is so bad that when I tell my students I have to go to yet another meeting, they laugh at me. In my next post I hope to report that I have said “no” to most distractions and forced important, non-research issues out of my daily routine. Katherine Plass is an Associate Professor of Chemistry at Franklin & Marshall College. 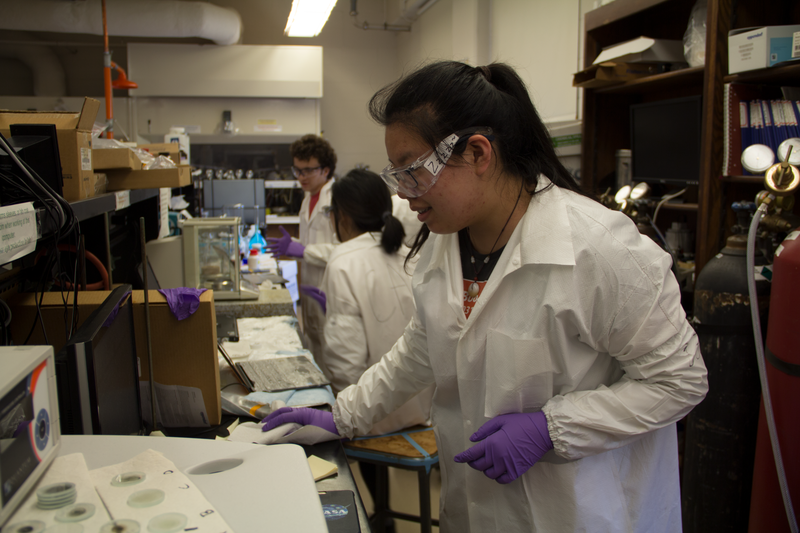 Kate leads a team of undergraduate student scientists to explore the surface and solid-state behavior of nanoparticles of interest for optoelectronic applications.